Poor Woody. He always seemed to get upstaged by Tim Allen's iconic cartoon counterpart - and the Macy's Thanksgiving Day Parade appears to be no exception. 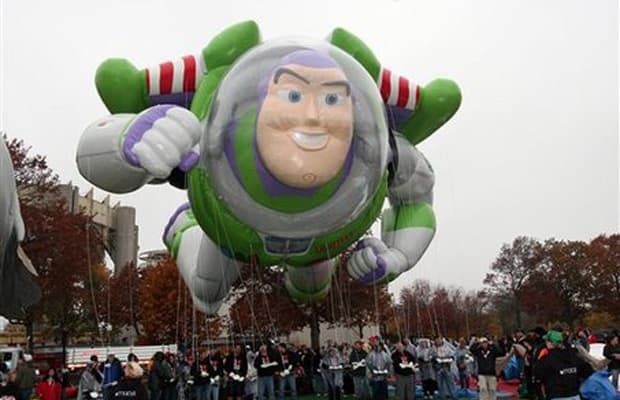 With a sick balloon like this, though, we'll take the space ranger over Andy's loyal, but bland cowboy anytime. To infinity and beyond!